The Manor is a 17th century Free House, where in the welcoming and well stocked bar tourists join with locals in their appreciation of up to eight real ales available at any one time. 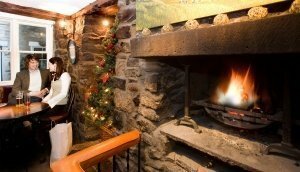 This 16th century inn with its low beamed ceiling boasts a sun trapped courtyard garden during the summer season and a roaring log fire during the winter months giving it a wonderful traditional ambiance. There is always a selection of real ales wines and lagers on offer in the bar which is open from 11.30 am daily. 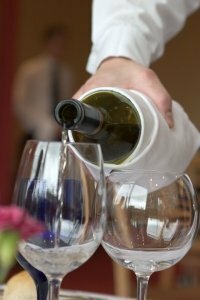 Beswicks Restaurant is situated in the picturesque Georgian Square at the heart of Broughton-in-Furness and offers a changing menu of up to 5 courses. Melville Tysons offers top quality produce. The shop boasts an impressive grocery range and great value. A carefully laid out display of fruit and vegetables can be seen on the display stands outside of the shop windows. Whilst the separate butchers shop next door serves a vast range of top quality meats freshly prepared each day. The Blacksmiths Arms in Broughton Mills dates back to 1577 and was originally a farmhouse called Broadstones. The internal structure of the Blacksmiths arms remains unchanged with oak panelled corridor, original farmhouse range, large slate floors from local quarries, and oak beamed ceilings. The pub features in many guides including the AA pub guide, The Good Pub Guide and The Good Beer Guide. It remains the only pub in the Lake District listed in the National Inventory of historic pubs. Another 400 year old pub at the start of the mountains and the pack horse trails to the West. Forever associated with Donald Campbell and his world water speed record attempts, the pub remains a classic Lakeland Inn. The Black Bull Inn and Hotel was built around 400 years ago as a coaching Inn providing accommodation for travellers, coachmen and horses. The Inn is situated in the picturesque village of Coniston. They serve a range of light snacks, catch of the day, hearty meat dishes and vegetarian cuisine. They also brew their own beer, Bluebird Bitter and Old Man Ale. Zefferellis is an award winning Pizzeria and is one of the Lake District’s most popular dining experiences. There is also a jazz café bar and a five screen cinema. 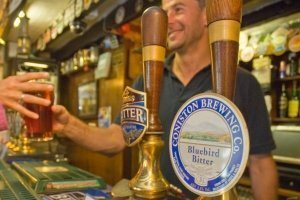 The family owned Wilson Arms country inn at Torver is the perfect place to end a day spent walking on the Coniston fells, this is also a pet friendly pub. Set high above Ambleside, commanding dramatic views of the Lake District fells, the Duck stands at a crossroads, a traditional Lakeland dwelling, reflecting the simplicity, beauty and longevity of its natural environment. This is a pet friendly pub. Opened in 2002, L’Enclume’s idyllic riverside location in the historic village of Cartmel is the perfect setting for Simon Rogan’s distinctive culinary style. The two Michelin-starred restaurant is a relaxed dining space with white-washed walls and minimally laid tables from which L’Enclume’s dishes can be best enjoyed. 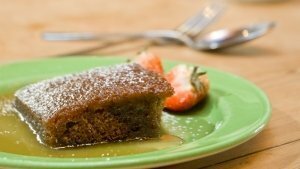 In Cartmel they have been making delicious sticky puddings to a traditional recipe for almost 25 years. It started in the back kitchen of the Village Shop a good 20 years ago. Word soon got out and it seemed like everyone wanted some. But however busy they are, it’s still handmade, and there’s still nothing to match it.